Four lucky dogs will have a Happy Easter! This is Ryleigh! This young lady lives with her parents. Dad went home to get their dog to meet Ryleigh and the meeting went well! The family is very nice and they live in the Cypress area! This is Jayla! This adopter spent a lot of time with jayla and said she was so sweet and she wanted to take her home! 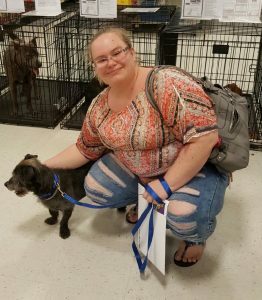 Jayla will have a dog buddy in her new home! This is Percy! 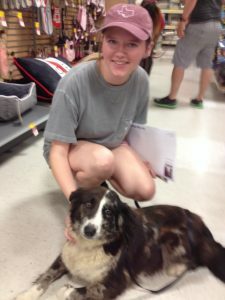 This young lady was the most prepared adopter we have met! 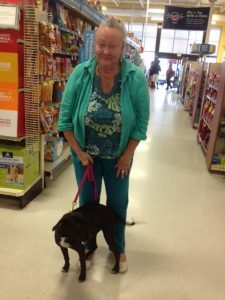 She went to Barc yesterday and came back to Barc today to adopt Percy. 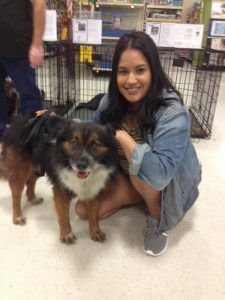 They told her he was at Petsmart and she came to adopt him! She graduated from Brown and is a 10th grade teacher and finishing her first year! She did all her research and paid her pet deposit! She spent a lot of time with Percy and will bring him to Barc for heartworm treatment! This is Nitro! This adopter did go to Barc earlier and said there were no small dogs at Barc and so are went to another offsite looking for a small dog. The event she was at was run by Theresa E who called me and sent the adopter to us! They were thrilled to meet nitro and take him home! We referred people to Barc today too! Thanks to all who helped and Happy Easter to everyone!